You can achieve these goals and more with the help of our incredible chiropractor. Maui is where chiropractor Dr. Battles grew up and his passion is to help his neighbors achieve optimal health through gentle, skilled chiropractic care and a host of complementary natural therapies without drugs or surgery. Chiropractic care can do far more than just provide back pain relief! 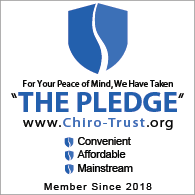 By correcting poor posture and misalignments (subluxations) between the vertebrae in your spine, our Maui chiropractors free pinched nerves, empowering your nervous system to optimally regulate your body’s healing and daily health needs. Massage therapy to relieve and rehabilitate sore, tight, injured soft tissues so they can better support correct posture. Motion therapy to help you regain strength, flexibility and fluid motion as you recover from an injury or chronic pain condition. Cold laser therapy uses the power of light to stimulate cellular regeneration of injured tissues deep in the body. Customized nutritional therapy helps you nourish your whole body in the way you uniquely need to optimize health and healing. If you have been struggling to overcome a car accident or sports injury, a work injury or any kind of personal injury, or if you hurt and you’re not even sure why, you owe it to yourself to schedule an appointment for a thorough exam and diagnosis with our Maui chiropractors. After diagnosis, Dr. 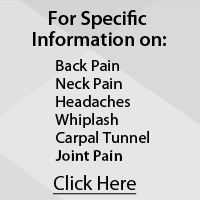 Battles will create a personalized treatment plan that will naturally accelerate your pain relief and overall healing. Call us today at 808-873-6262. We look forward to seeing you!